The Day of the Dead is a misnomer. It doesn’t last just a day, but three. November 2 is the main celebration, but the day before is known as Children’s Day or Day of the Little Angels (Día de los Angelitos). Some parents who have lost children will spend this afternoon creating an altar in the graveyard or at their home (either inside or outside for everyone to see on the street). Items are left, such as favorite foods and drinks, games, toys, balloons, footballs, as well as the traditional Day of the Dead offerings. It’s a touching way to remember the children who have died. Día de los Angelitos happens the day before the big events of November 2 because it’s said the spirits of the children are so eager to come back to the land of the living, that they run ahead of the adults, who arrive a night later. An altar for a boy, including mini-representations of some of his favorite things. 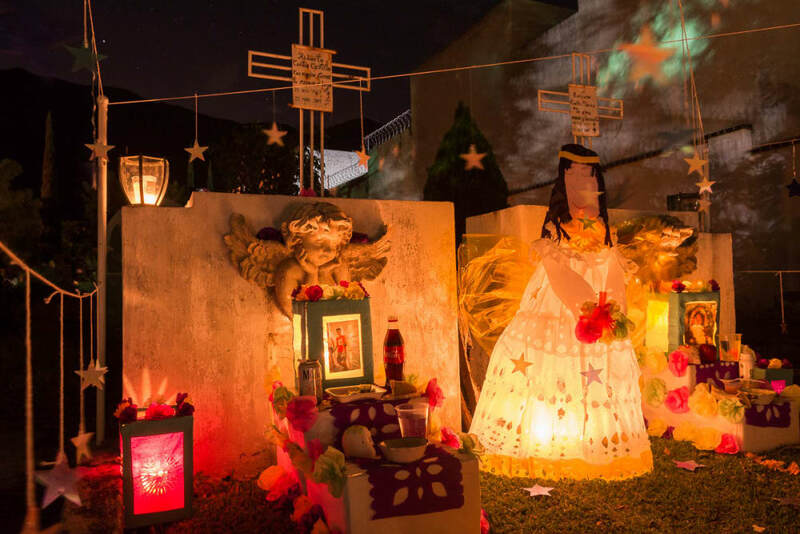 Families who have lost children might light the altar on the night of October 31 and/or November 1 for the angelitos (little angels), who rush back home quicker than their adult counterparts, who arrive later on November 2. Inside a mausoleum for a family, which was decorated on the Día de los Angelitos for a young girl. Handmade decorations and candles light up an altar with toy blocks that spell “B-A-B-Y” on a tomb in the graveyard in Ajijic, Jalisco. 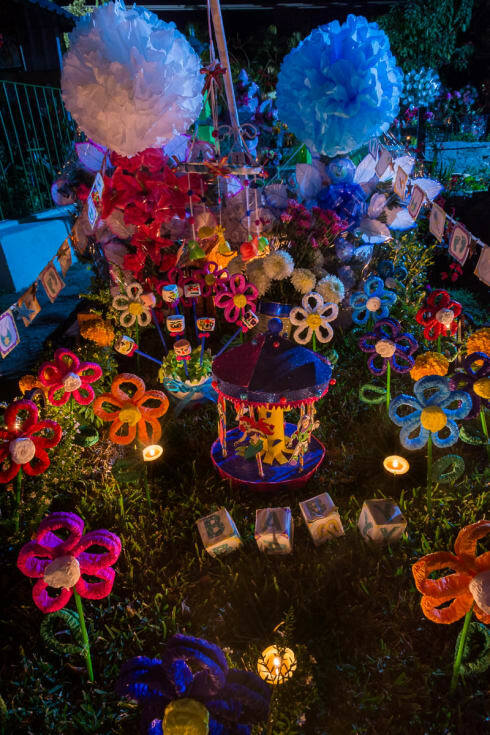 A colorful grave with balloons remembering a child during the Day of the Dead in Jalisco, Mexico. 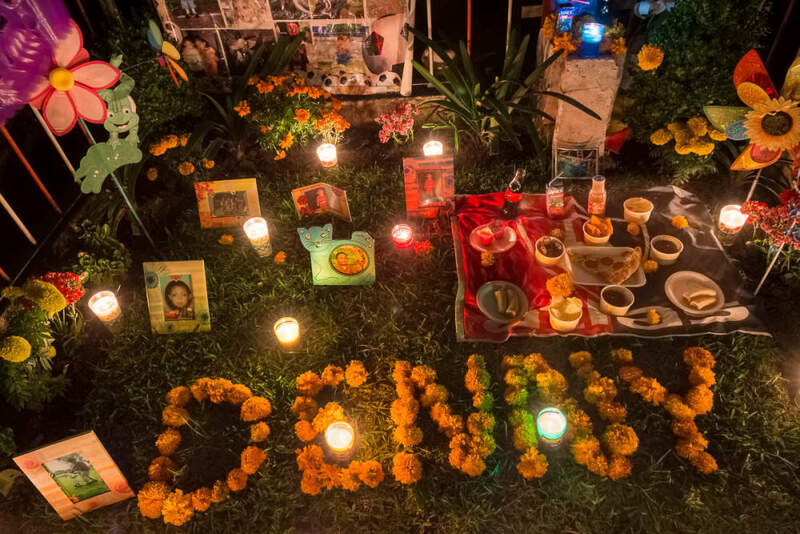 A display created on the Día de los Angelitos for a seven-year-old boy named Denny, created in the graveyard in Ajijic, Jalisco. 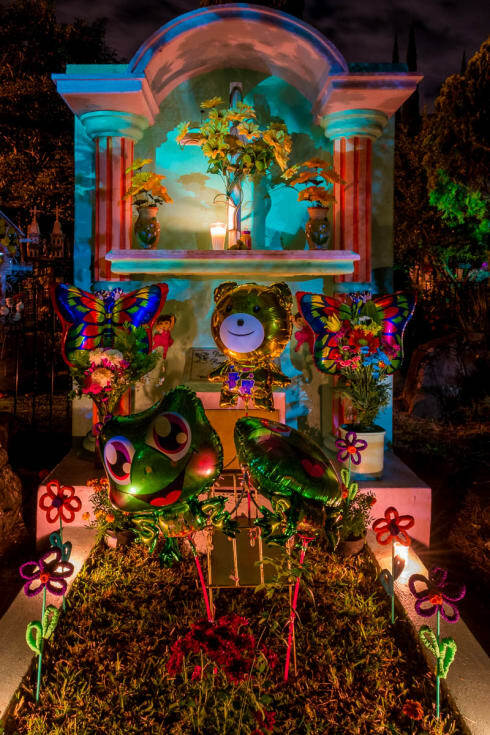 A November 1st Children’s Day display during the Days of the Dead in Ajijic, Jalisco. A candlelit ofrenda on the Noche de los Angelitos in the graveyard in Ajijic, Jalisco, Mexico. 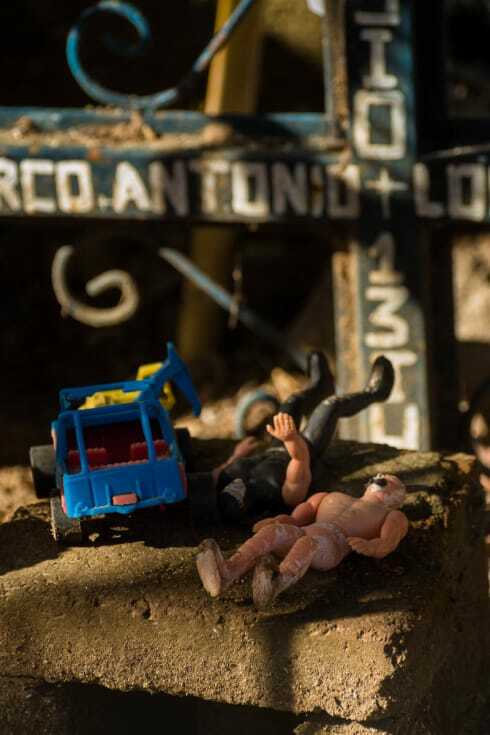 A grave with toys on November 1 in Ajijic, Mexico. Decorations on a grave decorated for el Día de los Angelitos in Ajijic, Mexico. 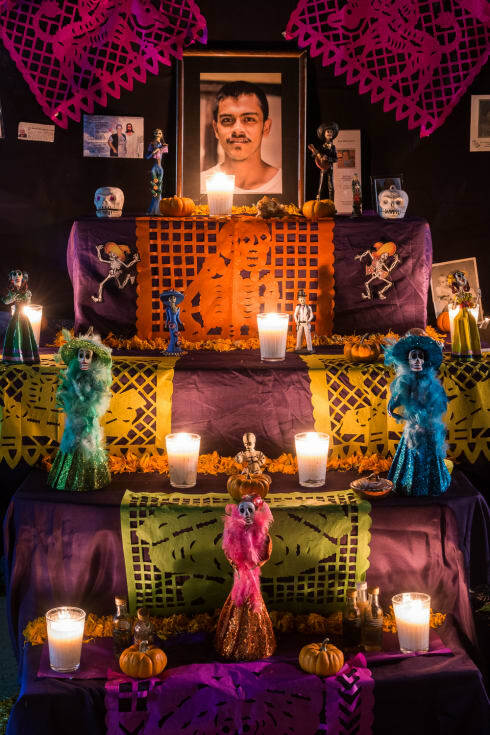 An altar for family, friends and a young grandson on el Día de los Angelitos in Ajijic, Jalisco, Mexico. Toys left on a headstone on November 1 during the Days of the Dead in Jalisco, Mexico.